Selling gold is never easy. There are so many things to be taken care of. However, it may become quite easy if you find the advice of a gold expert with vast experience in the very field. Today, we are discussing all the important things everyone should know before selling their gold. Never have there been so many choices on where and how to sell. You can pick up a nice steak for dinner and unload your tiara at the same time: Gold and Silver Buyers, the state's biggest buyer of precious metals, has its stores conveniently located inside or alongside supermarkets. 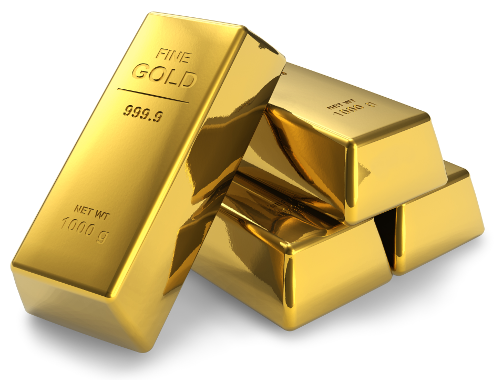 When it comes to selling gold, you need to be very careful. It doesn’t matter where you are; start selling your gold locally. There are so many jewelry and pawn shops in every market and you can bring your gold to a good pawn shop to get its estimates. It will help you get a basic idea of your gold price and you can further sell it online or to a dealer. Crume cautions sellers about doing business with transient gold dealers whom he calls "rogue" buyers also known as "hotel" or "pop-up" buyers. They blow into town, run ads promising high prices, and set up shop, say, in a hotel ballroom. After vacuuming up a city's worth of jewelry and coins, they disappear, sometimes leaving their victims un- or underpaid. When it comes to the new places for selling gold, gold parties should be considered. In such parties, friends and relatives socialize with one another and make gold deals. However, these parties are not good enough to sell your gold. They may not provide you the best deals. At some parties, all jewelry is weighed together, regardless of its karat value, and sellers are paid according to the lowest karat value. Don't accept those terms. The scales used by pawnshops and jewelers are always verified by the department of weights and measurements. However this may not be the case for the scales used by hotels and party buyers. This is really important to be careful and keep an eye on how your gold is being weighed. A seller needs to make sure he's not being weighed by pennyweight and paid by the gram, since that would allow the buyer to get more gold for less money. Fraud is nothing new and when it comes to gold deals, many buyers try to manipulate the sellers. Whenever you are selling your gold, ask the dealer to show their credentials. All the credible dealers or buyers have licenses by the state to make gold purchases. He will also be required by law to ask you, the seller, to produce a driver's license, passport or some other form of government-issued identification. That requirement exists to frustrate money laundering and the sale of stolen property. If your buyer does not ask to see your ID, take your business elsewhere. Good information. I think before selling your gold, it’s essential to check for its purity. Good information because 90 percent of people gets cheated and get lower price for their gold than they deserve and if they keep in mind above points than i am sure they will get good value for their gold.